MA Office Cleaning Question of the Day: What is that on my Floor? The talk of the corporate world; a pondered question flourishing the office halls… What is that stuff ALL over the carpet? Let’s do a bit of detective work. Upon investigation, the weather is terrible outside. New England’s finest natural occurrences take place during our long cold winter months. Snow, ice, sleet, rain; the perfect combination of Massachusetts winter weather. Property & facility managers often protect their parking lots and sidewalks with rock salt, snow melt, and sand. These chemicals save employees from slips and falls. The salt compound contains sodium chloride chemicals. 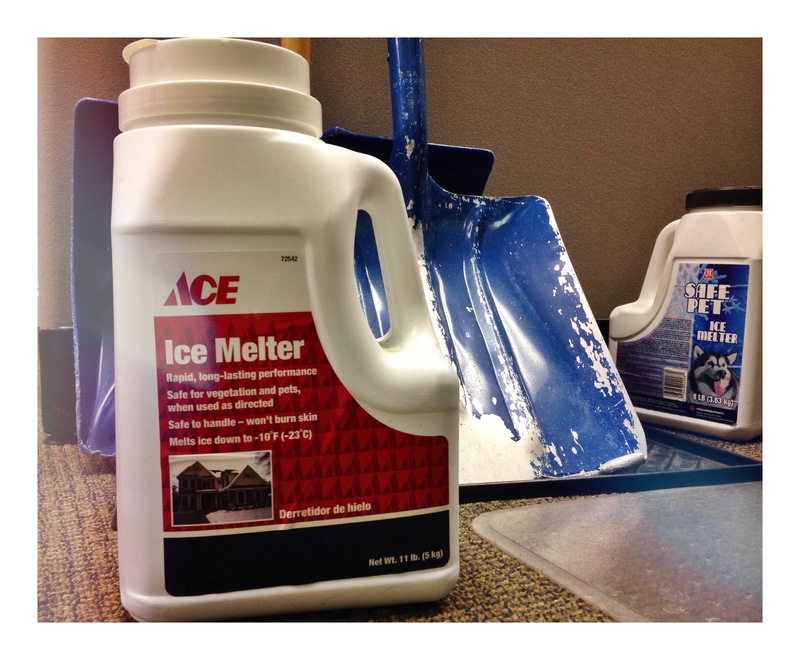 The ice melter is mostly formed with calcium chloride, sodium chloride, magnesium chloride, and potassium chloride. These ingredients melt away ice and snow from outdoor surfaces; Thus, preventing a dangerous walkway and path from the cars to the office. The outdoor wintery mixture is thawed by an application of the salt and snow melt creating a wet exterior. Employees and customers will track through slush and puddles to get into their work facility. A salty residue will be left on hard floor and carpeted surfaces once walked upon. A standard floor cleaner is created to remove everyday dirt and grime. This means, it does not have the ability to extract the salt melted onto the floor surfaces. Removal of the stains require a different solution that contains certain chemical qualities. Snow melt and rock salt have higher pH components; therefore, requiring a neutralized cleaner to be removed from floors. An acidic neutralized floor cleaner will do the trick! Make sure to clean the office floors on a regular basis to prevent damage caused by the salt’s high pH properties. Call Apple Corps commercial cleaners for more information on floor cleaning services in Massachusetts offices, car dealerships, medical facilities, schools, condominium common areas, and other work facilities.